My girls come home from school STARVING. 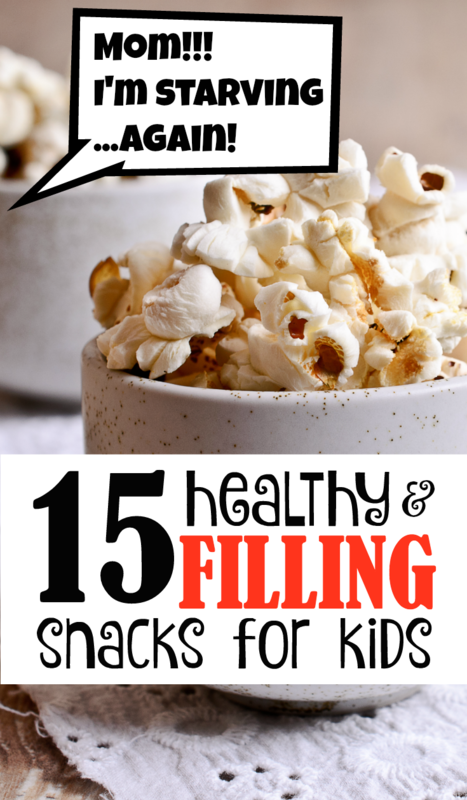 As a result, I created this list of 15 healthy and easy after school snacks for kids that will fill them up, too. Kids: Mom, we’re STARVING. Can we have cookies? Me: No, eat something healthy. Get some carrots or fruit or something. Kids: Mom, we’re STILL starving. Me: Why don’t you have some crackers? Kids: Is it time for dinner yet? We’re starving. Can we have candy? Me: No. Eat some almonds. Me: Fine. You can have a few chips. Me: FOR THE LOVE! EAT WHATEVER YOU WANT! HAVE AN ENTIRE BOX OF COOKIES! JUST FILL YOURSELVES UP, PLEASE!!! This is pretty much the standard scenario at our house after school. My girls have been slowly killing me with their demand for after school snacks. I know they are genuinely hungry because they always have an appetite for dinner, but the nonstop nibbling and back and forth and begging for snacks is driving me all the way up the wall. For the sake of my own sanity, I decided that I need to have a more organized approach to finding easy after school snacks, and to treat them almost like a mini meal. I wrote out a list of healthy and easy snacks that are filling and quick to prepare (or can be made ahead and waiting for them when they get home). My plan is to serve one or more of these snacks right after school each day, let the girls eat until they’re full, and then no more snacking until dinner. Fingers crossed…hopefully it works! If you have any other healthy and easy after school snack ideas to share, please do so in the comments! And be sure to check out my other posts about feeding a family. We take a flour tortilla shell, spread on peanut butter, drizzle on some honey, peel a banana, wrap the tortilla around the banana. Some variations: use nutella instead of pb, omit the honey but add a few mini semi sweet chocolate chips, sprinkle a bit of granola over the pb and honey. 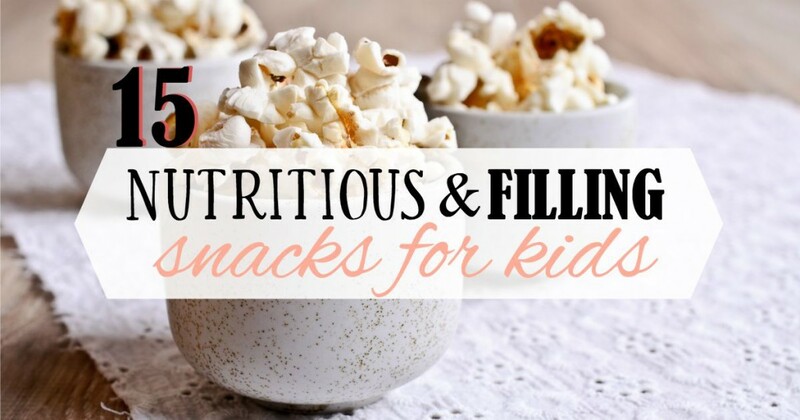 My girls are toddlers and would LOVE these snacks. We just had apples with peanut butter the other day and they couldn’t get enough! We eat our snack at the same time each day, right after nap time. Hopefully when they go to school, we’ll do snack time when they get home. Thanks for sharing these great ideas, Alyssa!